"Being here", on this forum, is not an absolute or a category of some kind. There might be many, many different specific reasons why each of us is here at a given point in time. The general reason is the same - we want to discuss with people who share interest in the WingMakers Materials. You think you hold a definition of what should belong to this discussion and what shouldn't and for a certain reason, you empty my contributions into the second category. You actually seem to really believe that you have the right to define the scope of discussion on this forum and so you discredit those who don't respect what you define the scope to be as "off-topic" posters, those who distract or worse yet, like in my case, "disembodied trolls", pets etc. “I understand the desire to think of an energetic transmission amongst a group of individuals as requiring a target of some kind like an event or geographic location. This is very sensible and consistent with sound logic. However, when you experience an EventTemple session you’ll see that it’s without a target. “This is because the ego-personality within the human instrument is handicapped in its capacities to judge the best target or point of reception for its energetic transmissions. So it subconsciously defers to the Higher Self or soul consciousness, which in turn routes this transmission to Spirit. Spirit receives the energy transmission, and assigns the energy to the person, event or place that most needs it. “Being conscious of this process is part of the technique you will learn in the EventTemple sessions, and doing so imbues potency to your energetic transmission, particularly in light of the energies streaming onto the planet at this time. When the human instrument is conscious of the re-routing, it can create a conscious alignment with Spirit, and this is when the energy transfer can become exponential. When done in a coordinated group, its synchronized energy can be enhanced even further. "Thank you for your contributions in this endeavor. "From my world to yours,"
You can see the idea of a target group was given by the Global Coherence Initiative project. They began by targeting certain areas of need. Now they are doing a monthly Full Moon meditation. "The WingMakers' discussion forums exist to enable each of you to express your innermost thoughts and findings about the WingMakers' materials". how much plainer and simpler can it be ? Herein lays a key to the solution of polarity division expressions which are quite different to polarity balance expressions. The Heart Virtues don’t need defending just because they are believed to be of good standing; therefore defending Heart Virtues and/or principles to the like, is one of the greatest cleverly orchestrated cons that belongs in the paradigm: Problem - Reaction - Solution! Because Heart Virtues don’t need defending those that self proclaim godliness over another with covert, and not so covert, actions of somewhat repetitive rants of lulling, calming, peace laden words of love that do not reveal any transparency to their sovereign entity are simply luring others into the saviourship paradigm and using the greatest weapon of them all “the threatening and/or defensive blade of love”. I can’t help but respectfully tip my hat in salute to this deception for it really is so cleverly masterminded and one that we all at various times repeatedly succumb to: And is definitely one of the most difficult discernments along my journey due to the confusing and bewildering flow in and out of: “but when I am coherent in a state of oneness then surely by embracing all forms I am ‘doing the right thing’ and when I witness another’s actions that do not appear to be embracing all forms then they cannot possibly be in the coherent space that I am - therefore I shall rise to action and exert Valor protecting all and everything for nothing is to be rejected”. We all get caught in this mix and it takes very careful analysis that demands one goes ever deeper into their own transparency to recognize and transmute further the insecurities and fears within: not fears of a dark, ugly monster, but the subtly sweet fear of making the mistake of saying or doing something that is not perceived as “saintly”. When one continues to practice Heart Virtues consistently to the best of their abilities their levels of discernment become more attuned and the smell, no, even the slightest whiff of seduction back into an old paradigm is quite literally repulsive to the physical senses - for the individuals energetic pattern has become so much more accustomed to its sovereignty and its desire for sovereign oneness to be recognized and experienced by all. This does not automatically grant the individual who is discerning what appeals and what repels to be an “authority” on anything, for no-one is infallible. It takes enormous courage to repel - not to be confused with reject - when there is no clear outline for another paradigm to be offered as a defensive weapon and this invariably becomes a stunt/blockage along our paths for we cannot clearly see what will replace the old. It is this vulnerable, rickety part of the journey that is so attractive to the vulture that circles endlessly, dipping and diving into the exposed wounds of our transparency, thus tempting the body to continue to fear its survival; and many times the body does in fact recoil and attempt to heal itself with an old, toxic band-aid further prolonging the formation of new healthy cells. The deception of the HMS is layer upon layer upon layer and it depends on allowing the deception to continue on by doing what you are doing in pretending what is taking place on this forum isn't. CV is a troll and is banned from this forum like he is on practically every other forum he's been, stealing others materials and promoting them as his own . He has been doing that here for years since he first joined as a matter of fact. You can gloss over this and make it nice like so many here do who are afraid to really confront the HMS in its utter deception where the good is bad and the bad is good and so in polarity it goes on and on never seeing anything from that neutral point called the Energetic Heart. Yes there are people on this forum who have no intention of ever studying the materials and every intention of disparaging them and James and Lyricus. It does not bother me to see this and say it and act like I do about it. I will not pretend CV, Bill, electricox and others are not doing what they are in creating diss-ent about James, Lyricus and the WMM and I will not sanction them in any way for doing it. And no they do not belong here and no they do not deserve to be here and no I don't give a dam-n what anyone "thinks" about that. Russel has done hisn fair share of trolling over the years as well and always sides with them because he thinks its against starduster, Darlene and me. I will name it all for what it is and with no fear and will do this until the last troll is outta here. Besides, the dark energies are in chaos and in the process of eventually being banished from this planet. I am so glad for that. Last edited by Shayalana on Sat Nov 05, 2011 9:01 pm, edited 1 time in total. Eventtemples.com, the six heart virtues practice and Spiritual Activism are all part of the WMMs. If you focus exclusively on finding a way to bend interpretation in a way that would somehow portray my replies unrelated to WMMs, and you are doing it, then probably yes, at least relative to your perception. You and Shayalana, being two most notable examples, express perceptions about certain members of this forum and you do that in a way that contains large ego bias and therefore is an injustice. Is relating to this, even in a gentle way like this, off topic ? By the nature of your replies, you most definetely would want it to be and you continue to talk as if they, in all honesty, were off topic. However, there are numerous expressions you have left behind and this, coupled to the attitude presented in your posts, does not agree with what you claim. You express large portion of ego bias, hipocrisy, dishonesty and indifference to others on this forum. Whatever I or someone who happens to also not ignore your ways of participating in this forum, would contribute, it would be attacked by you, regardless of its value - simply because your evaluation is not concerned with objective values but rather, the intentions represented in your expressions. You probably haven't experienced the event temples did someone tell you about them who heard about them from someone else who was told by someone else so now you think you know? They do. Your point is correct, though - it's just that if this defense, or an act of valor, is accompanied by judgement instead of understanding and compassion, then it is not an act of valor, it is yet another injustice. Now Urahahaha can write a book about her experiences with the WMM as told to her by so many others who were told by others as repeated to, by yet, others,(interdimensional as well). The book should have a lot of quotes in it unless like CV she steals them and takes credit for them. You know how that self serving self promotional thing goes and BTW CV denies he has a self in the midst of his promoting it. Last edited by Shayalana on Sat Nov 05, 2011 9:30 pm, edited 1 time in total. Are event temples designed to provide you with a proficiency rank that makes you feel being in a better position than some others ? They are here to make it better for all of us. You are inviting trivial, irrelevant matters and obsolete systems of evaluation that come from the social order. Last edited by Urahara on Sat Nov 05, 2011 9:31 pm, edited 1 time in total. Now Urahahaha can write a book about her experiences with the WMM as told to her by so many others who were told by others as repeated to, by yet, others,(interdimensional as well). The book should have a lot of quotes in it unless like CV she steals them and takes credit for them. How about you become one of the main characters ? It's YOUR book about you're second hand life based on others opinions with little to no experience because your ego/intellect already knows everything it doesn't need experience when you have so many opinions of others to live by. Should that be the binding ? You're pretty thick to of missed this one. Throughout the cosmos there is life -- the expression of First Source in individuated form. These are the divine fragments that are always in the process of separating to experience individual expression of self, and congealing to experience universal expression of First Source. We are born from the very womb of the cosmos, and it is here that all will return in time. It matters not when or how. It only matters why. The distance of this womb from your earth is near infinite, and yet, so close that it would make your heart quiver if you knew the reach of your imagination. In the very beginning of your existence, as a formless consciousness, you chose to experience individual expression and separate from your Source. And when you chose the three-dimensional world as your platform of experience, you embarked into the world of time in which you would encounter every conceivable obstacle and challenge to your restoration of oneness with your Creator. From out of the spirit-essence of Source Intelligence, flowing from First Source, each of you is born. As particles of light leavened by Source Intelligence to arise and secure individual consciousness, you are born an immortal entity that shares the essence of First Source in non-time and non-space. This is the Entity consciousness that is imbued with the Wholeness Navigator that permits the Entity to separate from First Source into individuality, but remain guided by Source Intelligence. The entity is the highest state of consciousness, dwelling in a state of total awareness of all lesser instruments or bodies, which feed it experience and insight. The entity consciousness is the infallible observer of experience and synthesizer of insight. In all respects, it is a miniature of First Source, lacking only the experiential relationship with time and space that develops its sense of empowerment to act independently of First Source. It is precisely this sense of independence that the birth of the entity begets. It is the central part of the blueprint of exploration because without this sense of independence, exploration of the cosmos and its various fields of vibration would be limited to the perception of First Source, peering through the lens of Source Intelligence. By definition it is a single dimensional perception, and therefore, an incomplete exploration. First Source decreed this exploration as a result of its creation of the multiverse, and when it was created, First Source summoned itself in the form of light particles and cast these particles into separation. These initial entities understood that their existence held a very specific purpose, which was to construct a vehicle for the newly created entity consciousness to inhabit so the individuated spirit-form could enter the most remote sections of the multiverse and explore, experience, and learn from them. This would be similar to constructing a deep-sea diving suit that permits a diver to explore the sea bottom. First Source, working through Source Intelligence, could perceive the outermost realms of creation, but it was unable to experience them and, therefore, acquire wisdom about the very things First Source created. The entity is driven by its very nature to explore creation. This is the core identity of First Source, and it was bestowed upon all of its creations like a genetic trait is passed from a parent to its child. This primal instinct instructs the entity to submerge into the realms of creation for the purposes of exploration, without the attendant anticipation of achievement or conquest. This form of exploration is not simply to discover new geographies or physical states of existence. More importantly, it is to discover new emotional states of perception that enhances the collective wisdom of First Source. Exploration begets wisdom. This is the practical perspective of the entity consciousness, and it is precisely this innate quality that compels the entity to descend into time and density. The entity consciousness is aware of its connection to First Source through Source Intelligence. It is also aware of the opportunity to take its pure-state vibration into other dimensions of time and space through the instruments that have been created by the WingMakers. Through these instruments, or bodies, as you might think of them, the entity can explore decelerated vibratory states like your planet. The vast conditions of creaturehood beckon the light body to don an instrument and follow its instincts to explore. The moment this is done, the entity becomes aware of itself as an individual. However, this individuality is not overwhelming, nor is it feared. It is simply a new sense of independence; the microcosm of self-learning begins to bloom. Without authentic exploration within the worlds of creation, the value of the experience for both the entity and First Source is greatly diminished. Just as a newborn human expresses its energy in the awkward movements of its limbs, the new entity expresses its energy in the awkward decisions of its exploratory path. These decisions include every conceivable movement into darkness that can be imagined, and it is because of this that the entity develops its uniqueness. When the entity becomes unique, it can acquire experience and insight that is unique. And this is the precious cargo that the entity was designed to transmit to First Source. Individuality and independence were the gifts bestowed to the entity, and unique insight was the gift returned. This is how the multiverse is designed, and the blueprint of exploration is indifferent to the nature of the instrument, its outward appearance, its usefulness to a given species, or its contributions to the world from which it was born. The only objective worth expressing is that the entity secured for itself, and provided to First Source, a unique perspective during its sojourn into time and genetic density. When the entity functions within a human instrument it remains attuned to First Source, but the mind learns to identify with its instrument of exploration, and seldom achieves a sustainable impression of the entity's pure-state vibration. However, this vibration is always remembered by the entity consciousness and expressed within the three-dimensional realm through the sense of equality and shared purpose that all entities possess. The human instrument, when it is donned by the entity, becomes a dominant reality in which the entity's observational stage is cast. It is very similar to a pilot who enters a plane and begins to fixate on the control panels. The entity can operate effectively within a wide range of one to approximately one thousand dominant realities -- each occurring in sequential time simultaneously. As a consequence, the entity is able to both accelerate and balance its learning across a broad range of experiential platforms. We understand that the concept of simultaneous experiential learning platforms is a concept that pulls against every three-dimensional fiber in your bodies and minds, but it is the true way in which you were designed. WingMakers have produced not less than one hundred thousand variations of the human instrument -- all structured around the same DNA template and each scattered across the seven physical universes of our multiverse. When you read these words, you are operating in tens, if not hundreds, of simultaneous realities throughout the multiverse, but only the entity is able to perceive these realities. When the entity moves into independence, it initially operates in one dominant reality and gradually becomes adept at processing multiple data streams from multiple instruments. Remember that the entity is first and foremost within a light body, and that this light body is without structure, as you know it. It is both a point fixed in time and space, and a consciousness that is omnipresent. The human instrument was designed to have an aperture that focuses this omnipresent consciousness into multiple channels of perception, but at the same time limit the perception of the human instrument to one dominant reality. This was done by necessity because the mind, emotions, and body cannot withstand the aggregate experience of multiple instruments. It overloads the system and causes the human instrument to break down and ultimately collapse. It also makes the delicate connection between the entity awareness and the mind and emotions more clouded. Even with this accounted for; the subconscious realms enable these currents of simultaneity to disperse and provide a cleansing space for the mind and emotions. The entity is like a beam of white light, and as it passes into the genetic density of the human instrument, it separates into a broad spectrum of experience. Owing to the genetic structures into which the entity's light energy passes, it accumulates unique perspective that is shaped into an emotional wisdom that can be transmitted to First Source and to the species at large. These beings are able to look upon their experience in all forms, places, and time, and integrate the total experience into an expression that is imported to the human species. It is the pinnacle of testimony, and it seldom occurs in a species until it has defined its true wisdom. You rightfully claim wisdom in your religious books, scientific journals, and philosophical discourses, but this in not your true wisdom as it pertains to your species. The difference is simple; your true wisdom will not divide your species. It will unite it. And it will not be unification through love and emotions; it will be through a shared connection to the rightful meaning of the multiverse because this is the only lens that, when focused, resolves your place as a species. Are we saying that science will lead you to this true wisdom? No, we are telling you that there will be a handful of your species that will step forward as Sovereign Integrals with a balanced scientific and philosophical nature, and they will have the benefit of an educated species that will listen to the inconvertible evidence. Even First Source cannot bring a species to its true wisdom. The leaders of the species must achieve it through organic, self-inventive methods. First Source, through its original blueprint of exploration, enabled the humanoid species the ability and means to acquire this knowledge itself. If the true wisdom were brought to the species from outside itself, it would be inherently mistrusted and it would not be sufficiently compelling to unite the species. There are numerous revelations that have been brought to your species through non-physical entities in the form of what you term, channeled information. Even parts of your Holy books are channeled. However, these writings were for the few. They did not contain the true wisdom -- they only hinted at the shadow it casts. The Sovereign Integrals will emerge like beacons for your species, and elevate the mental and emotional perceptions of the entire species. When one Sovereign Integral emerges, it will, by the catalytic forces of its own entity consciousness, cause another to arise, and another, and another, and it will cascade from one to one thousand in a single generation. From this one thousand, will arise one million in the next generation, and from this one million the entire population will arise, imbued with this insight gained from the portal into the multiverse. And from this portal will arise the organization of the true wisdom into a form that will endure against all attacks. This is the grand unification of the species around the new, non-hierarchal structures that enable the experience of the true wisdom to the newborn of its species in order to perpetuate the unification of the species. Within six generations, the genetic mind of the species is stable and then becomes a powerful tool of exploration that the species will come to understand as its "spaceship" into the multiverse. The human species of your planet will become the teachers who channel the shadowy outline of the true wisdom to a new species that is, even now, unconsciously awaiting your arrival. The process is carried out over and over, always with variations and anomalies that spark deeper insights and pathways into the Central Universe from which First Source has its being. It is the most powerful of all gravity fields, and ultimately leads a species and its individuated entities to its periphery from which we, the WingMakers, reside as your future selves. The entity is viewed in the universe of time and space as an evolving particle of exploration commissioned by First Source to explore, populate, develop, and transform the outposts of creations into enclaves of Source Intelligence. When the entity is viewed in the dimensions of non-time and non-space -- its natural habitat -- it appears as an immortal facet of First Source that has been individuated, but when viewed in the three-dimensional environment of genetic density, it appears as a temporal facet of its species. The species -- in this case, the human species -- evolves in time as the elder race that guides a developing race in the formation of its metaphysical and scientific foundations. They become the culture-builders of a new species. The evolution of a species stretches from its origins in the Central Universe as a unified genetic model fit to explore the multiverse, to a fragmentation of the species into biologic diversity, to its re-unification through culture and technology, to its ascension as a non-physical unified Genetic Mind, to its application of this Genetic Mind as a means to explore the outer reaches of the cosmos and help guide a developing species, and to the merging of this Genetic Mind with the Genetic Mind of its ancestral race. Your scientists have defined the evolution of the species on a scale that is only the equivalent of a tiny splinter of wood in a vast forest of time and space. The evolution of the human specie through the "forest" of time and space is an exceedingly dense process, consisting of innumerable levels of progress that ultimately enables the Genetic Mind of the species to blend harmoniously with First Source. What fuels this process is the genetically endowed drive of the entity to explore the worlds of creation, and to ultimately acquire the necessary wisdom and compassion to lead a younger species to its true wisdom. You may wonder why this process seems so convoluted and fraught with missteps and mistakes. We tell you that the process is not what it seems. The Genetic Mind of the elder race that is working with your species on terra-earth operates in a window of time more comprehensive and inclusive than you can imagine. The gateway into your future is through the completion of this blueprint, and this blueprint is encoded deep within your species. At your root, you are not an immortal psychic impression, or mental echo, but rather, you are the faultless triune of First Source, Source Intelligence and the sovereign entity, colliding in a dance of energy that is evermore. Your mind must grasp the fullness of your true nature and depth of your being, or you will fall prey to the psychic impression and mental echo of your lesser self. The blueprint of exploration is the genetic substrate of your design, and all of the so-called "lower" life forms are the "limbs" of your species. Without them, you could not exist. And so the composite life form is truly the species of which we speak when we speak of the human species. We do not separate you from the plant and animal kingdoms. We see them as one composite species. It is your scientists who have chosen to separate the one species into billions of sub-species because wholeness cannot be classified and analyzed. The tools of the mind suppress the true nature of your species. Only when you observe with the frequency of equality foremost in your heart and mind, can you bypass this suppression and feel the linkages that organize your specie into a master organism. It is this organism that is in perfect alignment with First Source like two circles that overlap so perfectly that only one is seen. It is the very nature of First Source to create innumerable fragments of itself and lead each to cohesion as a master organism, while allowing each fragment to retain its sovereignty. This is the perfect bestowal of love. While First Source cannot be found through searching, if you will submit to the leading impulse of the sovereign entity within you, you will unerringly be guided, step by step, life after life, through universe upon universe, and age by age, until you finally peer into the eyes of your Creator and realize you are one. And in this realization you will see that the specie from which you emerge is one also. The fragments of the one congeal through the blueprint of exploration whose end is not foreseen, and whose beginning is not measured by time. your flexibility of movement to the new era in which we now move and have Our Being. The consciousness of the Sovereign Integral is the destination that beckons the human instrument inward into the reality of First Source. In all of the wanderings of the human consciousness from Source Reality, it has eliminated the compelling features of Source Reality through the application of the logical mind and the persistent belief in the language of limitation that flows from the external controls of the hierarchy. Source Reality, hidden behind language, has gradually become "illuminated" by the prophets of your world, and has thus, taken on the image of language, rather than the expression of its compelling features. Language is the purveyor of limitation. It is the pawn of tyranny and entrapment. Virtually all entities within the time-space universe desire to preserve a dependence upon a hierarchy that stretches between the individual and the compelling features of Source Reality. It is the hierarchy that utilizes language as a form of structural limitation, though in relative terms, it can appear to be liberating and empowering. Source Reality is the dwelling place of First Source, and it dances outside of the constructs of any language. It is complete within itself, and has a singular purpose of demonstrating the collective potential of all species within the Universe of Wholeness. It is the archetype of perfection. It is the standard bearer of each entity's innate design and ultimate destiny. ITS essence is so far beyond conception that the human instrument's tendency is to resort to the language of externals -- and ultimately the hierarchy -- to define Source Reality. The hierarchy, through the purveyance of an evolution/saviorship model of existence, has attempted to guide the development of all entities throughout the Universe of Wholeness. The connection between the individual and the Source is subtly undermined through the layers of language, belief system manipulation, and ritual controls designed by the hierarchy to intervene between the spiritual essence of entities and their source, First Source. Each individual must know them self to be free of all forms of external reliance. This is not to imply that one should not trust others or band together in alliances of friendship and community. It is simply a warning that relative truth is constantly shifting in the hands of those who desire to control, and even though their motives may be of good will, it is still a form of control. When the hierarchy withholds information, the interpretive centers for relative truth are positioned to acquire and maintain power rather than dispensing the empowerment of Source equality. There are entities that have woven their future existence with terra-earth and are destined to demonstrate the truth of Source equality among all entities at all levels of expression. It will become the fundamental purpose of the hierarchy to slowly remove these barriers to equality in such a way that the hierarchy appears to be the savior of consciousness rather than the guard of consciousness. There are those present who will ensure that the curtain falls swiftly for those who are ready to be equal with their Source; are willing to skirt the hierarchy's tangled pathways; and embrace their divinity as sovereign expressions of Source Reality. The hierarchy represents diverse interests, perceptions of reality, and motives of action. It is this diversity that causes the hierarchy to become ineffective in leading individuals to their equal status with First Source. However, this diversity is also what permits the hierarchy to attract and initially awaken such a breadth of individuals to their spiritual energies and intuitive centers. Nevertheless, the hierarchy has trapped itself in diversity and vested specialization that prevents it from evolving from an arduous ladder of evolution to a joyous river of Light that is aligned with the purpose of empowering entities to Source equality. The saviorship concept results from the feelings of inadequacy that constantly surge within the mass consciousness of humanity through the genetic mind. These feelings are related to the fragmentation of the human instrument and its inability -- while fragmented -- to fully grasp its wholeness perspective and reach into its divine origins and accept itself as equal with First Source. Thus ensues the seemingly endless search to be saved from the inadequacy and insecurity that result from the fragmentation of the human instrument. The motive to evolve consciousness derives from the feeling of being less than whole. And in particular, the feeling of being disconnected from First Source due to imperfect judgment caused by the fragmentation of the human instrument. It is through these feelings that the fragmentation perpetuates itself for the entire species and is passed into the genetic mind, which is the shared foundation of the human instrument. The genetic mind of the human species is the single most powerful component of the hierarchy and it is formed by the very conditions of the human instrument living in a three-dimensional, five-sensory context that is all-consuming. In this state of separation, the entity has handicapped itself for the purpose of new experience and a deeper understanding of the Primal Blueprint or grand vision of First Source. Through this deeper understanding, the entity can, through the human instrument, transform the three-dimensional context into a self-aware, integrated component of the Universe of Wholeness. This magnificent and purposeful endeavor produces the urge within the human instrument to seek out its wholeness and re-experience its divine connection to First Source. This search, in large measure, is the fuel that drives the individual to seek out and explore the evolution/saviorship model of existence. It provides the individual with the motivation to seek help and guidance from a specific subgroup of the hierarchy, and in so doing, develop a sense of belonging and unity. It is this very same sense of belonging and unity that helps to catalyze a growing awareness of the underlying union between the human instrument, the Entity Consciousness, the Universe of Wholeness, Source Intelligence, and First Source. This is why the evolution/saviorship model is so critical as a component to the Grand Experiment. It is the stage whereby the human instrument develops a sense of unity and belonging. A sense of relationship to some grand and encompassing vision. This is why the hierarchy nurtures saviors. It is also why the feelings of inadequacy and insecurity are developed and nurtured by the hierarchy. It actually hastens the unification of humanity, which in turn, will hasten and lead to the unification of humanity with the Universe of Wholeness. Spiritual leaders are able to peer deeply beneath the surface reality of life and experience how intricately connected every life form is, and how this composite of life is intelligent far beyond the human instrument's capability to both perceive and express. It is because of this condition that spiritual leaders can only interpret reality through their personal abilities to perceive and express life's dimensional depth and limitless intelligence. No one is able to articulate life's dimensional depth and breadth with the tools of language. They can only, at best, describe their interpretation or their impressions. Every human is able, in varying degrees, to peer beneath the surface reality of life and perceive and express their personal interpretations of the Universe of Wholeness. They require only the time and intention to develop their own interpretations. And this is precisely what all the great spiritual leaders have taught. Life's deeper meaning is not an absolute to be experienced by the chosen few, but an evolving, dynamic intelligence that wears as many faces as there are life forms. No life form or species has the exclusive portal into the Universe of Wholeness in which First Source expresses ITSELF in all ITS majesty. The portal is shared with all because First Source is within all things. The great spiritual leaders of terra-earth have all, in their own way, interpreted the Universe of Wholeness and humanity's role therein. In so doing, their interpretations, because they were articulated with authority and depth of insight, became a target of debate among various subgroups of the hierarchy. This debate and inquiry process creates a polarity of belief. A sympathetic constituency will emerge to defend and embellish their particular leader's interpretation, while everyone else will hold it in contempt of previously held beliefs. This peculiar method of creating a religion that is fixated on a savior's or prophet's interpretation of the Universe of Wholeness is unique to a species that is exploring the evolution/saviorship model of existence. The spiritual leaders that are recognized as great prophets or saviors have produced a vision of the Universe of Wholeness beyond what was currently defined by the hierarchy. They created a new portal into the Universe of Wholeness and were willing to share their vision at the expense of debate and probable ridicule. These men and women were the gateways for humanity to explore new facets of itself. To engage a part of its oversoul or universal consciousness that was essential at that particular time in its evolutionary cycle. But the leader's interpretations too often become interpreted by the followers who desire to create a religion or sect, and the vision quietly recedes into the hands of the hierarchy where it becomes de-vitalized by the very fact that it is connected to a massive structure that both protects and promotes it. First Source is connected to individuals not organizations. Thus, the hierarchy is unconnected to the Source in a vital and dynamic way. The hierarchy is more connected to its own collective desire to help, to serve, to perform a function that allows the use of power to drive toward the vision of its leaders. In itself, this is not wrong or misguided. It is all part of the Primal Blueprint that orchestrates the unfoldment of consciousness from Prime Source to entity, and entity to Collective Source. This is the spiral of integration that breeds wholeness and cascading beauty within Source Intelligence. The Grand Experiment is the ongoing transformation and expansion of Source Intelligence through all entities in all dimensions of existence. It is the purpose of the Grand Experiment to test alternative models of existence to determine, with some certainty, the model that is best able to unify consciousness without impinging on the sovereignty of the entity and First Source. The Grand Experiment is composed of many distinct stages that interlink, leading to the Great Mystery. Most of these different stages are being simultaneously played out within the time-space universe in order to prepare the universe for the impending expansion of Source Reality into all dimensions of existence. In the case of terra-earth, this is the stage of existence that promotes the clear connection of individual consciousness to the compelling features of Source Reality without the intervention of a hierarchy of any kind. This is when the fables and myths of history step into the light and become known as they truly are and have been. This is the time when language will be transmuted into a new form of communication that exhibits the compelling features of Source Reality in an artistry of energy and vibration that break down all barriers of control. It is time to recognize that the hierarchy extends throughout the cosmos to the very borders of discovery. It has branches that extend from every star system, every known dimension; and virtually all life forms are "leaves" of this vast cosmological tree. This constitutes the grand indoctrination of species, spirits, planets, and stars as they each evolve through the branches of the tree. Thus, the hierarchy is an assemblage of externals that desire to invest their energies in support of a sub-group that has nested somewhere within the greatest of all structures -- the hierarchy. Service is the operational motive of the hierarchy, and in most cases, this translates into the concept of saviorship and the teacher/student ordering of the universe. The hierarchy is composed of all entities of all motives that have linked their energies into sub-groups. These sub-groups are independent branches of the vast, cosmological tree that encompasses all things outside of Source Reality. The roots of the tree are bound in the soil of genetic memory and subconscious instincts. At the base of the tree the first branches sprout and they are the oldest, representing the native religions of the species. The middle branches are the orthodox religions and institutions, while the upper branches represent the contemporary belief systems that are newly emerging throughout the universe. The whole tree, in this definition, is the hierarchy, and its seed was initially conceived, planted, and nurtured by Source Intelligence for the purpose of stimulating the Grand Experiment. This tone vibration is not what is more commonly referred to as the music of the spheres or the vibration of spirit moving through the universe in resonance to Source intention. It is a vibration that holds together the three principles of the transformational experience: Universe relationship through gratitude, observance of Source in all things, and the nurturance of life. The application of these life-principles in a specific equation of conduct de-couples an entity from the controlling elements of the hierarchy. Free will is not obscured simply because an entity is presented with alternative realities or relative truths that delay its realization of Source equality. It is the choice of the entity to invest itself in external accounts of reality instead of delving within its own resources and creating a reality that is sovereign. The value of free will is always expanding as you move towards sovereignty, and in like manner, is always diminishing as you move towards external dependence. The choice between sovereignty or external dependence is the basis of free will, and there is no structure or external source that can eliminate this basic choice. It is an inward choice that, regardless of outward circumstance, is incapable of being denied by anything external. The Universe of Wholeness encompasses all dimensions (including Source Reality), and therefore, all realities are contained therein. In this incomprehensible diversity, each entity is provided a structure that defines their free will in terms of its relation Source Reality. Each of these structures varies in latitude of choice, but each is connected into the superstructure of the hierarchy. The structureless reality of Source Reality is where free will was initially conceived, and when the principle expanded into the time-space universe as the thread of authenticity, it became increasingly dependent upon the entity's recognition of its wholeness in relation to Source Intelligence. If the entity was fragmented into its component parts, its comprehension of free will was limited to that which the hierarchy circumscribed. If the entity is a conscious collective, realizing its sovereign wholeness, the principle of free will was a form of structure that was unnecessary, like a fire in a summer's day. When entities are unknowing of their wholeness, structure will occur as a form of self-imposed security. Through this ongoing development of a structured and ordered universe, entities defined their borders -- their limits -- through the expression of their insecurity. They gradually became pieces of their wholeness, and like shards of glass from a beautiful vase they bear little resemblance to their aggregate beauty. If you were to perceive the origin of your existence, you would undoubtedly see how vast the entity is. If you could pierce through the veils that cover your destiny, you would understand how much vaster you will become. Between these two points of existence -- origin and destiny -- the entity is always the vibrant container of Source Intelligence. It has willingly allowed itself to explore the time-space universes as an outpost of First Source. Therefore, while the hierarchy may obscure the entity's comprehension of its wholeness, it is the entity who has surrendered, by choice, to listen to the language of limitation, the proclamations of externals, and become seduced by the model of evolution/saviorship. Why has the hierarchy not provided the alternative model of transformation/mastership and enabled the entity to make a choice, and in so doing, truly exercise its free will? It is because the hierarchy, like most entities, is not aware of its wholeness. Its fragments, or subgroups, are completely devoted to boundaries. Where there are boundaries that define and limit, there is also structure. Where there is deeply ingrained structure there is a pervasive belief that transformation is impossible. Naturally, the time-space universe conforms to the matrix of belief projection, and the very concept of transformation is removed from the hierarchy's reality. Thus, the hierarchy is unable to even conceptualize the model of transformation/mastership with any precision, let alone inform the entity that alternatives exist which issue from Source Intelligence. The hierarchy is not responsible for this condition, each entity is. The dominant model of Source Intelligence is primal. It existed before the hierarchy. It is the entity that has chosen to explore the hierarchy's model of existence for the purpose of participating in the Grand Experiment and assisting in the emergence of the synthesis model of existence. 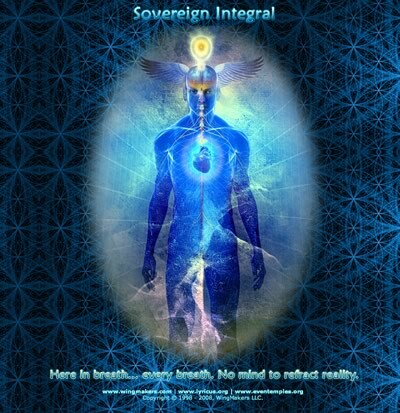 The hierarchy is quite benign as a manipulative force, and merely represents a key ingredient to the recipe of wholeness that is transforming the entity to reach beyond its role as a vibrant container of Source Intelligence, and become the bridgeway in the expansion of Source Reality into the time-space universes. There is an ancient belief, born of the hierarchy, that the time-space universes will ascend into Source Reality and the human instrument of love will accompany this ascension process. However, it is Source Reality that is expanding to encompass the time-space universes with the purpose of aligning all entities to the synthesis model of existence. Source Intelligence is stripping away the veils that hide the true meaning of the entity model of expression in the time-space universes. When this occurs, the entity will possess Source equality in all dimensions and fields of vibration, and its componentry will be united for the full expression of its sovereign perspective. This transformation of the entity is the pathway into wholeness and the recognition that the entity model of expression is a composite of forms and the formless that is unified in one energy, one consciousness. When the fragments are aligned and inter-connected, the entity becomes the instrument that facilitates Source Reality expansion. Thus, the entity does not ascend from the time-space universes, but rather coalesces into a state of wholeness whereby its sovereign expression can assist in the expansion, or in a different context, the descent, of Source Reality into the time-space universes. Ascension is often construed as the natural outcome of evolution. That all planetary systems and species are evolving to the point where they ascend from limitation, and that eventually, the time-space universes will somehow fold into Source Reality and cease to exist as fields of vibration. It is actually quite the opposite. Source Reality is descending. It is inclusive of all things, and it is the Source intention to expand, not retreat. The entity transforms to wholeness within the cradle of the time-space universe, and, in so doing, becomes the accessory of Source Reality's intention to expand. Can you see the perfection of this Primal Blueprint? Can you feel the shifting of the matrix from which your reality is cast? Can you not also understand that you, the human instrument, consist of a componentry that is individuated as a single point of pure energy, yet live in many places on many dimensions simultaneously? Only within the entity is the place of transformation discovered, where the formless Self can enter and commune with its various outposts of form. The formless is the Eternal Watcher who lives behind the veil of form and comprehension, and draws forth the wisdom of time from the well of planets. It is the point of origination from whence Source Intelligence flows. The Eternal Watcher is the only real interpretive center for the entity. It is the only stable guidance system that can propel the entity to its wholeness. Thus, the entity is composed of both the formless identity of Source Intelligence and the formful identity of densified energy. While the formless is one, the formful is divested in many fragments of expression that isolate its consciousness as islands of perception and expression. This condition results in the entity's denial of its vast and glorious nature of existence. In the human instrument, the entity, for the most part, is silent and unmoving. It appears like a fleeting whisper of gladness that touches you like a mountain wind. It is quiet like a deep ocean. Yet, the entity is coming forward into the time-space universe as a harbinger of Source Reality expansion. It is beginning to make itself known as it truly is. Many feel the shadow of their entity as it approaches. They consign all forms of definition to this "shadow", seldom believing it to be the torchbearer of their total selfhood. Here is where all the vows of faithfulness, all the ceremonies of love, and all the feelings of hope should be centered and given over to the sovereign entity that we each are. The primary reason that the hierarchy's model of evolution/saviorship is so compelling is because the entity has become fragmented in how it perceives its total selfhood. The Eternal Watcher that lives through the human instrument is illusive to the time-space conditioned mind, yet it is the mind that attempts to reach out and touch this subtle vibration of Source equality that is forever kindled by Source Intelligence. However, the mind is too conditioned and disempowered to realize the total scope of the entity that exists beyond the shadows of intuition. It is for this reason that the species is exploring the evolution/saviorship model of existence. They have little or no conception of their wholeness, and require a savior and the acclimation process of evolution, to bring them security and happiness. It is a natural condition of an evolving species to have a desire, implanted by the hierarchy, to be saved and to be a savior. This condition results in the teacher/student ordering of the universe, and it is a building block of evolution and the very essence of the hierarchy's structural existence. While some species resort to the drama of survival to catalyze their evolutionary progress, other species resort to the drama of being saved and being a savior. The saviorship drama is an expression of sovereign entities that are preoccupied with the evolutionary process, and it is not confined to a religious context, but indeed applies to all facets of one's life. As there are relative truths, there are relative freedoms. If you are evolving through the hierarchical process you gain an ever-increasing sense of freedom, yet you are still controlled by the vibration of externals through languages, thought forms, frequencies of color and sound, and the seemingly indelible artifacts of the genetic mind. Each of these elements can cause the human instrument to rely upon the hierarchy as it overlays a sense of inequality between you and your Source. The underlying equation of the evolutionary process is human instrument + Hierarchy = God connection. In the case of the transformational process, it is Entity + Source Intelligence = Prime Source equality. Source Intelligence, though it generally manifests as the vibration of equality, is subject to the will of First Source, and as the Source intention changes through the various stages of the Grand Experiment, Source Intelligence is also changing its form of manifestation. This change is occurring now within the worlds of time and space because First Source is beginning to set the stage for the integration of the two primary models of existence (evolution/saviorship and transformation/mastership) within the Grand Experiment. The time has come to integrate the dominant model of the hierarchy (evolution/saviorship) with the dominant model of Source Intelligence (transformation/mastership). This integration can only be achieved at the level of the entity. It cannot occur within the context of a human instrument or an aspect of the hierarchy. Only the entity -- the wholeness of inter-dimensional sovereignty imbued with Source Intelligence -- can facilitate and fully experience the integration of these two models of existence. This form of integration occurs when the entity fully explores the two models and develops a synthesis model that positions saviorship as an internal role of the entity to "save" itself, and not rely upon externals to perform this liberating task. This act of self-sufficiency begins to integrate the saviorship idea with the mastership realization. The next step is to integrate the time-based incremental progress of the evolutionary model with the realization-based acceptance of the transformation model. This is done when the entity is thoroughly convinced that experience and utilization of its wholeness can only occur when it is completely detached from the various structures of the hierarchy. While the entity assumes its role of personal liberation, it does not mean that the hierarchy is to be shunned or avoided. The hierarchy is a wondrous instrument. It is symbolic of the body of First Source, enabling IT to submerge within the time-space universes similar to how the human instrument allows the entity to function outside of Source Reality. The hierarchy is a vehicle of transformation even when it acts to suppress information and keep species in obedience to its controlling hand. It is part of the ancient formula that prepares a new universe for the synthesis model of existence and membership in the Universe of Wholeness. The combination of self-saviorship and detachment from the hierarchy initiates the synthesis model into manifestation. The synthesis model is the next outcome of the Grand Experiment, and in certain vibrational fields of the multidimensional universe, there are entities who are indeed experiencing this stage of the experiment as forerunners of the entity model of Source individuation. These entities are specifically designed to transmit this future experience into communication symbols and life principles that facilitate the bridging of the two models of existence. Beyond the initial design and construction of these "bridges", these entities will remain largely unknown. If they were to do anything more, they would rapidly become a fixture of the hierarchy and their missions would become compromised. These Sovereign Entities are not present in the time-space universe to be formal teachers. They are present to be catalysts and designers. They are present to ensure that Source Intelligence is allowed to balance the dominant force of the hierarchy and its model of evolution/saviorship. They will not create a new belief system. Instead, they will focus on developing new communication symbols through various art forms that facilitate the entity's detachment from the controlling aspects of the hierarchy. The Sovereign Entities will also demonstrate the natural ease of interweaving the two primary strands of existence into a synthesis model. In the advancing epoch of human development, entities will collectively design new pathways beyond the synthesis model of existence so that a new hierarchy can be constructed that is fashioned from Source Intelligence information. This new hierarchy will be cast from the knowledge gained from the Grand Experiments of the time-space universes, and the cosmic cycle will regenerate itself into a new field of vibration and existence. This new model of existence resists definition, and word-symbols are completely inadequate to describe even the shadowy outlines of this new form of existence that is emerging from out of the synthesis model in your future time. The WingMakers are Sovereign Entities who will be transforming time-space universes from ladders of consciousness to inclusions of Source Reality. In other words, Source Reality will be extended into time-space universes, and all life forms therein will experience this extension through a new hierarchical structure that is completely aligned with Source Intelligence. What some call "heaven on earth" is merely an echo-realization of this impending future time. What is truly bearing down on the time-space universes is the expansion of Source Reality through the accessibility of Source Intelligence information to all entities regardless of form or structure. When this accessibility is complete and the Source Coding is fully activated, all entities will be part of a new cosmological structure. This new structure will invoke the next model of existence, which is already being developed within Source Reality by Source Intelligence and the Sovereign Entities. What is being activated now upon this time-space universe is the initial preparations for these shifts in the models of existence. More specifically, upon terra-earth, these models of existence will be simultaneously played out over the next epoch of time. As always, it will be the choice of the entity as to which model they embrace as reality. These various models of existence will generally occur in a pre-determined sequence, but not necessarily in a pre-determined timeframe. The sequence of Source Reality expansion is: Source Intelligence creation of new fields of vibration; the ongoing development of an entity constructed hierarchy to act as the superstructure of the new creation; the emergence from the hierarchy of a dominant model of existence, in this case, the evolution/saviorship model; the introduction of the Source Intelligence model of existence, in this case, the transformation/ mastership model; the intermixing of these two models to form a synthesis model of Source equality; and finally, Source Reality expansion to the inclusion of all dimensions and entities. When this sequencing of the Primal Blueprint is achieved, the process, with all that has been learned by Source Intelligence, will be reconfigured and a new element of the Primal Blueprint will be revealed that is unknown at this stage even by Source Intelligence. The time required to fulfill the complete cycle is undetermined, but it is reasonable to expect that its completion is yet so distant in time that to attach measurement is simply a feeble attempt at estimating the unknowable. Let there be no mistake, however, that the fulfillment of the Primal Blueprint is indeed the direction all entities are traveling. While entities of all levels are bestowed free will within their own realities, they are not, as aspects of Source Reality, given free will to choose their ultimate destiny. The origin of entities is Source Intelligence, and it is Source Intelligence that determines destiny as well as origin. Still, entities are provided tremendous latitude of choices to propel themselves from origin to destiny and re-emerge into an expanded version of Source Reality with a renewed vision of their identity. All of the highest imaginings of the human instrument are yet unaware of the deepest foundation of the Primal Blueprint. They have sought the upper reaches of the building, and remain unaware of the foundation's design. It is here, at the very bottom of existence that First Source is bursting forth with ITS energy and is retreating with ITS equality of sovereign mastership. It is here that equality is realized, not in the lofty places of relative truth lodged in the hierarchy, but in the deepest part of the foundational plan of life's origins and destiny, where time rejoins itself into timelessness. The origin and destiny of existence is the tone of equality in life. Listen for this tone -- this frequency of vibration -- and follow it back into the very foundation from whence all things arise and return. This frequency of the tone-vibration of equality is only heard with the seventh sense by the entity who is enveloped in a human instrument. The seventh sense can be developed by the time capsules' and will lead certain entities to their innermost or core expression. The core expression is what activates the seventh sense. Thus, before one can hear the tone-vibration of equality, they must gain access to their core expression. There is encoded in each of the time capsules, a system of languages that can lead the individual to their core expression. It is hidden because it is so powerful. And we will only lead the worthy to this power. Consider these words as symbols only. Remember that language is a tool of limitation. Feeling is an antidote of limitation that permits the human instrument to leap over the boundaries of the logical mind and witness first hand the wordless power of collective energy individuated. Feel the truth that stands behind the symbols, and tap into this energy-force that reaches out for you. Know it as a tone-vibration -- a resonance that waits for you around every corner in which your life will turn. It is the beacon of the Source Vibration gathering itself into the form of language in order to usher you to the place from which you can experience the formless tone of equality. The bypass of limitation. The Primal Language of Source Intelligence that bestows to you the freedom to generate your deepest beauty in the expression of the highest truth. Student: I’m confused. I thought you were saying that I feared the experience of my highest self, but now it sounds like you’re saying that I fear my human self. Which is it? Teacher: If you are thirsting in the desert, what is it that you desire above all else? Teacher: So if I gave you a glass of water, you’d be satisfied? Student: Okay. I see your point. What I would desire above all else is to be near water so I could drink whenever I wanted, or better yet, I would want to leave the desert entirely. Teacher: And if you loved the desert, wouldn’t you fear to leave it? Student: You’re saying that I fear the experience of my inmost self because I would want to leave this world behind, but how can I fear this when I have no experience of it whatsoever? Teacher: This is not the fear that floods your body when someone is about to kill you. It is the fear of a shadow so mysterious, ancient, and primordial that you know immediately that it transcends this life and this world, and its knowing will change you irrevocably. Student: So it’s really this change that I fear? Teacher: It’s the irrevocability of the change that you fear. Student: But how do you know? How do you know I fear this so much that I cannot experience my inmost self? Teacher: In order to keep the human instrument in stable interaction with its world, the designers of the human instrument created certain sensory constraints. Because these were not absolutely effective, there was also designed into the Genetic Mind of the human species an instinctual fear of being displaced from its dominant reality. For these two reasons, I know. Student: But this isn’t fair. You’re saying my capacity to experience my inmost self has been diminished by the very beings that designed it. Why? Why should I be continually frustrated to know I have a God-fragment inside me, but not be allowed to interact with it? Teacher: Do you love this world? Teacher: You are here as a human instrument to interact with this world and attune to its dominant reality, and bring your understanding of your inmost self to this world even if this understanding is not pure, strong, or clear. Student: But if I had this experience of my inmost self, couldn’t I bring more of this understanding into this world? Teacher: This is the fallacy that frustrates you. Do you think the experience of this sublime energy and intelligence can be reduced to human translation? Student: I can teach others how it feels to be in rapport with their souls. I can bring more light to this world and inspire others to seek this out within themselves. Isn’t this what you do? Teacher: Have I taught you how to achieve this state? Student: No. But you have inspired me. Teacher: Are you sure? Haven’t I just told you that you can’t experience this state in the human instrument? Is that inspiration by your definition? Student: I didn’t mean in this specific case, but you inspire me to think deeper into the issues or problems that confront me. Teacher: If you want to bring more light into this world, why will interaction with your inmost self enable you to do so? Student: That’s just it. I don’t know if it will. It just seems logical that it would. Don’t all good teachers have this insight? Don’t you? Teacher: It’s true that there are teachers who can switch their dominant realities, and have learned to integrate this in their life without losing balance or effectiveness in this world, but they are extremely rare. Student: I know this. But this is what I aspire to learn. It is learned isn’t it? Can’t you teach me? Teacher: No, it is not learned. It is not teachable. It is not acquired through instruction, esoteric technique, or revelatory process. Student: Then how do those teachers who have this ability acquire it? Teacher: No one acquires this ability. That’s my point. No teacher within a human instrument on Earth at this time, or any previous, has the ability to live as a human and simultaneously live as a God-fragment. Nor does any teacher juggle between these realities with certainty and control. Student: I’m surprised to hear this. Why is this so? Teacher: For the same reasons I told you earlier. Do you not think this applies to all humans? Student: Then why do I have this desire? Who put this notion into my head that I should be able to experience this inmost self or God-fragment? Teacher: If one experiences the wind, do they not understand something of a hurricane? Teacher: And if they experience the rain, don’t they understand even more about hurricanes? Teacher: If you never experienced a hurricane, but you experienced wind and rain, might you be able to imagine a hurricane better than if you never experienced wind and rain? Student: I should think so. Teacher: Such is the case of the God-fragment within the human instrument. You can experience unconditional love, supernal beauty, harmony, reverence, and wholeness, and in so doing, you can imagine the features and capabilities of the God-fragment within you. Some teachers have simply touched more of the edges of the God-fragment than others, but I assure you, none have entered into its depths while living in the human instrument. Student: But don’t some teachers travel outside their body? Teacher: Yes, but they are still living in a human instrument whilst they travel. Everything I said still applies. Student: So what do I do? Give up the desire to have this experience? Teacher: There is a fish that can leave its underwater world upon the equivalent of wings. While it is only for a short time, it experiences the realm of the air-breathers. Do you think this flying fish ever desires to touch a cloud, climb a tree, or venture into a forest? Student: I don’t know… I doubt it. Teacher: Then why does it fly above the water? Student: So you’re saying this is true of humans as well. We strive to experience our God-fragment out of an evolutionary imperative or compulsion? Teacher: Yes, and like the flying fish, when we break from our world it is only for a short time and we fall beneath the surface once again. But while we are above the surface of our world, we momentarily forget we are just a human with a beginning and an end. Yet, when we do this, we do not imagine that we can touch the face of God within ourselves. Student: But I do. I feel that I can, and even should, touch this God-fragment. Teacher: You think this way because you have the hopeful exuberance and naïveté of a person unacquainted with the experience of First Source. Student: So you don’t feel this way? Teacher: Anyone attuned to the highest vibrations of their innermost self will feel this and be guided by it. The only difference is that I am content in knowing that I will not experience it while I am embodied in a human instrument. Student: And what does this contentment provide you that I don’t have? Teacher: The ability to channel my energy into this world rather than to apply it in the pursuit of another. Student: But I thought you said it is an evolutionary imperative? How do I control this desire or ambition? Teacher: Live in this world with all your passion and strength. See the God-fragment in this world, even if it is only a diminished beacon or tired light. See it! Nurture it! Do not be so quick to look for it in the depths of your heart or mind where you believe it might be. Student: It’s hard not to be disheartened at the sound of these words. It is like someone telling me that the vision I had was merely a mirage, or a trick of the light. Teacher: This is a world of shadows and echoes. You can chase the source of these if you desire, but you will likely do so at the loss of living in this world. You will diminish your experience of the shadows and echoes, and this is the very reason you incarnated upon this planet at this time. Student: But it sounds so passive, as if I should settle for experiencing this world, and not try to change it. I feel like I’m here with a mission to improve it, to change it for the better, and I’m missing some experience, some capability to do this. What is it I feel and why? Teacher: When you experience the warmth of the sun, do you change the sun? Teacher: And if you hold a piece of ice in your hands, do you change it? Student: Yes. It begins to melt. Teacher: So there are some things you can only experience, and there are some things you can change. Student: And I should know the difference. Student: I know this. It’s elementary. I’m not sure it helps me feel less disheartened. Teacher: You know this, I agree, but you have not necessarily practiced it. It is a principle of life to practice discretion and discernment, and while people will think this concept elementary, it is a critical difference in living life in a state of fulfillment or, as you put it, frustration. Student: So I can’t change the fact that the God-fragment within me is unknowable to my human mind, and I need to accept that. Is that the lesson to be learned here? Teacher: The concept of the God-fragment within you has power. It can be contemplated, but it cannot be experienced as a dominant reality in a human instrument. Through this contemplative approach you can learn discernment, and through this discernment you will learn how to navigate in the world of shadows and echoes in such a way that you bring changes that are in accord with the objectives of First Source. You externalize the will of the God-fragment, rather than seek its experience. In so doing, you eliminate the fear and frustration energies that flow through your mind. Student: Thank you. Your teaching just struck the chord I have been seeking since I found this path, and I feel its resonance. Teacher: In resonance you will be guided. Student: Is God a physical being? Teacher: Then doesn’t it stand to reason that God is as well? Teacher: Can a dead man govern a city? Teacher: Then how does First Source govern the Grand Universe that is — at its most coarse expression — a physical manifestation? Student: First Source inhabits a body like you and me? Teacher: Can any person upon Earth create something more magnificent than their human instrument? Student: I can’t think of an instance. Teacher: So, within this world, the human instrument is the highest expression of materiality? Teacher: And whatever a human creates, its creation is less magnificent than it is. Student: Unless it is a child. Teacher: And who is the child of First Source? Teacher: No. Humans are thousands of generations removed from First Source. Who was the original child or first creation of God? Student: I don’t know. Source Intelligence or Spirit? Teacher: Source Intelligence isn’t a creation of God; it is the mobility and presence of God. Student: Then I’m afraid I don’t know. Teacher: When a cloud emerges from a blue sky, there are specific conditions that create the cloud. It appears from the sky, but does not resemble the sky in color, scale, texture, or scope. And yet, is it not accurate to say that the cloud was a child of the sky? Student: I suppose, but what does this have to do with the physical body of God? Teacher: Think of First Source as the sky, and the physical body of First Source as the cloud. Student: So, the first child of God was the physical body of God? Student: First Source created the conditions whereby its physical counterpart could manifest to govern the physical universe. Then which came first, the physical universe or the physical expression of God? Teacher: Do you elect a president before you have a nation? Student: Okay, I see your point. Is it true that we were created in the image of God? Teacher: There are genetic archetypes that reside within the physical manifestation of God, and these archetypes are seven-fold. Student: So there are seven manifestations of God? Are they all physical? Teacher: They can be summoned physically at will, but God appears to each of his seven offspring in the form they will recognize as their father. Student: Are you referring to the seven root races of Earth? Teacher: No. The seven races of humankind are part of the most ancient genetic line of the universe in which Earth is an infinitesimal component. I’m referring to the seven genetic archetypes that reside within the Seven Tribes of Light that are known as the Central Race. They are sometimes referred to as the Elohim, Shining Ones, or WingMakers. Student: And you’re saying that these beings are separated into seven, genetic groups? Teacher: The Grand Universe consists of seven universes, and each of these converges in the central-most region of the Grand Universe. It is within this region that the seven, physical manifestations of First Source live, each an archetype of the human instrument designed for the universe of its destiny. Student: Are you saying there are seven versions of God? Teacher: There is only one God, but there are seven human instruments — each with different attributes and capabilities — that the one God inhabits. Our universe is associated with the Seventh Archetype, and it is this expression of First Source that interacts with, and governs, our universe. Student: Are all seven universes like our own? Teacher: The physical worlds are similar in all material respects, but the life forms that populate them possess different genetic capabilities, forms, and expressions, each based on the archetype of First Source. Student: A human instrument from universe one would not be similar to a human instrument from any of the other six universes? Student: But isn’t this true even within our own universe? Not all humanoid life forms look the same? Teacher: This is not a matter of appearance. You are 99% identical to a chimpanzee — genetically speaking — and yet you undoubtedly consider yourself quite different in appearance. Student: What you’re saying is that all humanoid life forms, regardless of where they are located within our universe, are genetically linked to the Seventh Archetype of First Source? Teacher: Correct, but you can extend this to include a broad spectrum of other life forms as well. In other words, it’s not just the human instrument. Student: Then in the other six universes, each has its own archetype that is embodied by God, and the life forms of these universes conform to this archetype — at least from a genetic perspective, if not in appearance. Is this accurate? Student: Then the obvious question is why? Why does First Source divide itself into seven, genetic universes? Teacher: When you approach a vast mystery, a mystery as infinite as the Grand Universe, what do you, as the creator, desire above all other things? Student: Assurance that the universes will not be destroyed. Teacher: Assume that you have no doubt of this — so perfect is your plan. Student: Then I would probably want to inhabit what I created and explore it. Teacher: And how would you do this? Student: I would need to travel somehow. Teacher: Assume that you are the Seventh Archetype of First Source. You are alone in your universe, and the universe is populated only with celestial bodies. There are no sentient life forms and no method of travel. Student: But isn’t that what Source Intelligence is for? Doesn’t First Source utilize Source Intelligence for its travel or omnipresence? Teacher: Let me remind you that we are discussing a physical expression of God. The Seventh Archetype of First Source is not able to travel about the universe independent of the laws of the universe. You may think of these seven Archetypes as the Human Instruments of First Source, and attribute similar characteristics and limitations to them, as we ourselves must bear. Student: So, the physical archetypes of First Source do not share the omnipresence and omniscience of their Father? Student: Do they operate as a team, or are they independent? Teacher: They operate in cooperation and collaboration, but they exercise their sovereign wills as it pertains to the universe under their charge. Student: Were the archetypes of First Source created right after the creation of the Grand Universe? Teacher: They were created in succession the same way a family is created. Teacher: There is much to learn from the creation of one that can be passed on to the next. Student: I want to see if I understand this correctly. At some point in time there was a Grand Universe created by First Source, consisting of seven universes, each governed by a physical expression of First Source. The universes were devoid of life other than celestial bodies like stars and planets. Is this correct so far? Student: And then the creation of life occurred. How? Teacher: First Archetype of First Source created life forms, what we shall call, the Central Race of First Universe. These beings were very powerful and not unlike their creator in function and form. They, in turn, created the genetic structures that became the first, pure physical soul carriers that housed the individuated spirit energies of First Source. Student: And this repeated itself six more times? Teacher: Each universe was populated with genetic structures that were based on the Archetype of First Source for that particular universe. Each genetic structure had unique capabilities that were suited for the exploration and colonization of their particular universe. Student: So, there are seven, different, genetic structures of soul carriers exploring the Grand Universe. For what reason? Why does First Source design the universe this way? Teacher: The Grand Universe is a vast network of life-bearing planets that enable the individuated spirit consciousness, housed within a soul carrier or human instrument, to interact with the limitations that physical worlds — by their very structure — impose. By interacting with these limitations, the genetic structures evolve, and in this evolution, they become unified. Student: Are you saying that evolution’s final form is unity? Teacher: Not in all species, but in the most advanced formats of physical existence, unity is the outcome of evolution. Teacher: When you create something that is in your image, what do you think is the most difficult thing to do? Teacher: Correct. You want your creation to explore and colonize the universe, but you also want your creation to return. Thus, you instill a fundamental instinct within your creation to desire to return to their place of origin. This is the unification instinct and it is one of the most powerful instincts designed into the soul carriers, of which the human instrument is one. Student: Then human-like, soul carriers exist throughout the Grand Universe, and all of them are designed to explore the expanding universe, but also to return to the central-most region after they’re done. This doesn’t make a lot of sense. Teacher: It is not the soul carriers that return. These are physical-based vehicles that, like all physical matter, decay and transform. Only the Wholeness Navigator within the soul carrier neither decays nor transforms. It remains everlasting, and within this specific element of humanity it is designed to return to its origins. Student: Where does one draw the line between First Source and other life forms? Teacher: How do you mean this? Student: Are the Archetypes of First Source separate from First Source. In other words, do they have their own identity, or do they think of themselves as First Source? In the same way, what about the Central Race? Teacher: There are five rings of life that comprise First Source. At the center is the consciousness of First Source. At the whole is Source Intelligence. In between are three rings of life: the seven Archetypes of First Source, the Central Race, and the individuated spirit-essence, or Wholeness Navigator. Student: And each of these rings of life draws their identity from First Source? Student: What you’re really saying is that all of these life forms are threaded together as one consciousness? Teacher: No more than a family is one consciousness. Teacher: They are both separate and unified. Teacher: The five rings of life are distinct forms of consciousness. In the formless state, each ring of life is aware of its unity, purpose, and inherent kinship with the others. In the physical realms, where consciousness is expressed through a dimensionally focused soul-carrier, they have a diminished awareness of this connection. Thus, they are both separate and unified, depending upon which strata of consciousness the entity is focused. Student: Then you’re saying that even the Archetypes of First Source, since they have a physical body, operate in the three-dimensional world without a strong sense of connection to First Source? It hardly seems possible. Teacher: No one within the Central Race pretends to know the degree in which the Archetypes of First Source have a diminished capacity to recall their Source vibration. However, those within the Central Race are well aware of how the soul carriers of three-dimensional substance, create the condition of separation in which divine recall is reduced to such a degree that the entity regards itself as separate from First Source, and therefore its capabilities. Student: Separate from the capabilities of First Source? Teacher: If you believe you are an ant, how do you behave differently than an eagle? Student: But an ant is not an eagle. Teacher: But the Wholeness Navigator is First Source. If the ant were an eagle, in every respect except form, but associated its capabilities with that of an ant, the eagle would slowly lose its ability to fly, it’s entire physical body, mind, and emotional make-up would change. Its soul carrier would literally devolve. Student: Our bodies cause our souls to devolve? Teacher: No. Our sense of separation from our Source vibration causes our human instrument to remain devolved. The devolution has already occurred; it is merely perpetuated. Student: Then the goal is to awaken this Source vibration and begin to re-associate with its divinity – this is what causes the human instrument to evolve in the direction of the Wholeness Navigator? Teacher: If you are going to start a fire, what do you need? Student: Dry wood, kindling and a lot of work generating sufficient heat to combust the kindling. Teacher: And what is the most critical of these? Student: I suppose the kindling. Teacher: Can you start a fire without any of the elements? Student: Well, I could start a fire with the kindling, but without the dry wood, it won’t last very long. Teacher: Aren’t they all critical then? Teacher: And if I had all the critical components to start a fire, but I had no experience, would I be able to produce fire? Teacher: I might not even know, if someone were to give me all of these items, that their purpose was to create a fire. Correct? Teacher: So we can add experiential knowledge as a critical component. Teacher: And what if I didn’t see the need for a fire? Student: Okay, so you also need a reason or desire. Teacher: Yes. Desire and purpose is critical. Student: Okay, I agree we can add that to our expanding list. Student: I understand, conditions must be right. Teacher: So conditions are important also? Student: Yes, but where are you going with this? I don’t understand how this applies to my question about what causes the Wholeness Navigator to evolve? Teacher: You simplified your question to the extreme. The equations of evolution are so complex that they are invisible to the mind of the human instrument. It is not merely the re-association with the Source vibration or God-Fragment that draws the Wholeness Navigator to it divinity and re-asserts its capabilities as a replica of First Source. This equation carries thousands upon thousands of critical elements bundled in a coherent, carefully orchestrated path. I wanted you to remember this. Student: But isn’t it necessary to simplify in order to approach the subject? How can anyone give all of these factors equal weight and still have an intelligent discussion? Teacher: That’s my point. You cannot. Student: So we can’t even discuss it? Teacher: No, not with any degree of accuracy. Evolutionary circuits are dependent on complex systems, and these systems are so vast and multifaceted that words – when applied to depict them – only serve to bring focus on one element and this element is never – in itself – powerful enough to catalyze or mobilize the evolutionary path. Teacher: So what do you think is the mobilizing factor for one’s evolutionary path to Wholeness and unity? Student: You mean if I could sum it up in a single concept – despite the fact you showed me earlier that it couldn’t be done? Teacher: You’re learning very well. Student: It would be to trust myself. Teacher: What part of your self? Teacher: And not the carrier? Student: Okay, I would need to trust the whole of me. Teacher: Trust the parts and the whole. Trust the connection of these to First Source. Trust the God-Fragment that orchestrates all of this complexity into coherent experience and knowledge that assures the recollection of your divinity. Trust the evolutionary process defined by First Source. Trust each of these above the external voices that meet you, no matter how infallible they may appear to be. Trust your self-knowing and its ability to guide you in the ascending spiral of your journey. Student: Even though I am but a student? Teacher: Are we not all students? Student: But there are those who know more than me. I don’t feel like I know that much to trust myself. How can I overcome this self-doubt? Teacher: It is not something to overcome. If it were, would you then require trust? Teacher: When you grapple with the finer distinctions of a concept, you invariably come to a wall that defines the limits of your memory or experience. When you find this wall, there is nothing wrong with seeking help from others, but remember that you are the entity that is most aware of your own needs. The wall that you find may be precisely what you need at that time. Student: Then it seems that I need to become more aware of my self-interests and needs. Teacher: The needs that you have which fuel your evolution as a Sovereign Integral. If you are hungry, your stomach will remind you. If you are tired, you will yawn and your eyelids will become unbearably heavy. What is the equivalent for your evolution as a Sovereign Integral? Student: It’s an interesting question. I don’t know. Student: I guess unanswered questions. Not knowing who I am, where I am going, or why I am here. Teacher: Really? Unanswered questions awaken you to your highest self-interests? Student: I can tell by your question that I answered wrong. What is it then? Teacher: It is not important to recognize it. It only matters that you feel it and welcome its presence because this is how you develop self-trust and self-knowing. Student: Are there techniques to accomplish this? Teacher: You haven’t invented them yet? Student: I thought you might know some that you could share. Teacher: I know my own. I do not know yours. Student: They’re different for everyone? Student: How did you create your own techniques? Teacher: If you want to establish a relationship with someone that you want to know, what are some of the things you do? Student: I might invite them for a conversation over tea, or possibly write them an introductory letter describing my wish to meet them. Teacher: And if they don’t respond. Student: I will probably assume that they are too busy, or more likely, not interested in meeting me. Teacher: Then this is the problem. Teacher: The human instrument gives up too easy, if it invites the Wholeness Navigator into its realm at all. Student: I think we’re all sensitive to rejection. Teacher: Do you think it’s possible to be rejected by the divine instruments of First Source? Student: I never thought about it before. Maybe? Teacher: It is not. The divine instruments of First Source are ever vigilant for sincere prayers, and never reject the offer to extend their presence within the human instrument of an entity that desires to ascend in consciousness. This is an immutable law of the universe. Student: Is there a better way to extend this invitation than simply asking in prayer? Teacher: It is not your words that will be heard. It is your feelings and the purity of their motivation. You could be drunk from wine and swearing in your loudest voice, but if your innermost feelings were pure, sincere, humble, and motivated by love, your invitation would be answered. In contrast, you could be meditating for days, striving to be of perfect character, and asking in the quietest whisper of a clear mind, but if you were tainted with the motivations of honor and pride, your invitation would most likely be declined. Student: Why would the Wholeness Navigator, or any divine instrument of First Source, care? Teacher: Why do you care if the food you eat is served on a clean plate or a dirty floor? Student: I don’t understand the comparison. Teacher: The human instrument is a vessel or soul carrier. Upon your planet, it houses the pure and perfect instrument of First Source: the Wholeness Navigator. If the human instrument is impure with thoughts of materiality, motivations of self-aggrandizement, or actions of hatred, it makes the soul carrier less receptive to the vibrations of the Wholeness Navigator. In some cases, the Wholeness Navigator, if it enters into such a vessel and offers its capabilities, these very capabilities are corrupted for selfish purposes. Student: So the Wholeness Navigator does not want its capabilities to become contaminated by an impure soul carrier? Teacher: This is partially true, but it is more that the God-Fragment within you chooses to expose its energies to a human instrument that has invited it to share its vision and understanding. Once it is invited, it will monitor the response of the human instrument to its presence. If the invitations are repeatedly extended, the God-Fragment will continue to materialize as an infused, spirit-led consciousness that directs the human instrument in its earthly mission. Student: I understand. I think I need some time to sort all of this out. Thank you for sharing your perspective and helping me with my understanding. Teacher: You are very welcome.